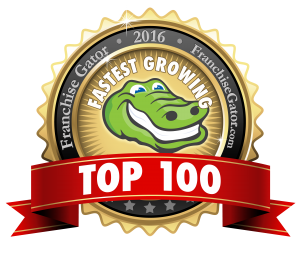 Franchise Gator has named STEM For Kids as a Fastest Growing franchise for 2016 in conjunction with the release of its annual Top 100 list. The online franchise directory developed the rankings as a way for prospective franchisees to identify opportunities with strong growth potential that are also affordable investments for the average franchise buyer. STEM for Kids® provides educational enrichment in Robotics, Engineering and Computer Programming for children ages 4 – 14 through camps, afterschool programs, in-school field trips, workshops in schools and outside community spaces. With the global demand for STEM (science, technology, engineering and math) talent continuing to grow, early STEM enrichment is a key need. STEM For Kids® proprietary set of curricula in fields of engineering, robotics and computer programming provide a nice complement to schools’ continuing efforts to meet the STEM need. The STEM For Kids franchise system has 5 company-owned units in operation in North Carolina and has grown to 3 franchise units currently in development in Wisconsin and Dubai, UAE since the launch of its franchise network in 2015. “We are excited about this recognition and thrilled to expand our footprint to bring opportunities for young students to explore the breadth of the wonderful world of STEM” said Moni Singh, Founder and CEO of STEM For Kids. Singh is a recognized Leader in STEM, News & Observer Tar Heel of the Week and recipient of many awards including the prestigious Triangle Business Journal Women in Business, Enterprising Women of the Year Honoree and a 40 under 40 Leader. National and international franchise opportunities are available for single and multi-units. Entrepreneurs with a passion to impact their community through education can learn more and apply at the STEM For Kids website, www.stemforkids.net/franchise or call +1 866 991 7053. For media enquiries contact Matt Bowman at 919 297 8366 or at nctriangle@stemforkids.net.